Today we share a dual post, one updating the EACH fundraiser a number of royal bloggers have been working on, coupled with an amazing giveaway. Our other topic is an advancer on the activities surrounding Kate’s christening of the new Royal Princess cruise ship from Princess Cruise Lines. 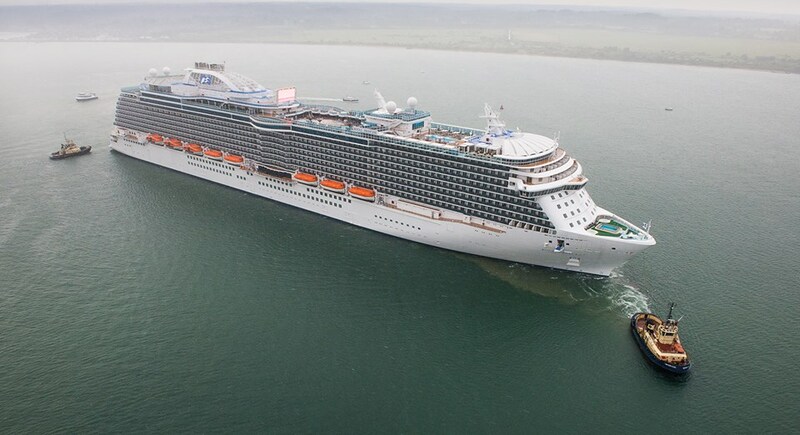 We begin with updates on Thursday’s christening of the Royal Princess cruise ship by Kate. The ship arrived in Southampton last week. It is an enormous vessel. Kate will be the ship’s “godmother,” joining other royals and notables, including Princess Diana, Margaret Thatcher and Audrey Hepburn. Princess Diana named the original Royal Princess in November of 1984. This will be the largest ship in the Princess Cruise fleet. Kate will be given a tour of the ship by Captain Tony Draper, he is from Scotland. Joining a small number of staff and representatives will be over 100 EACH supporters from across Cambs, Essex, Norfolk and Suffolk, all helping to raise more than £50,000 in donations. Two children who benefited from the care and support offered by EACH will be part of the function, they will hand Kate the scissors she will use for the ribbon cutting. We’re all very excited about meeting The Duchess of Cambridge and very proud and honoured to be representing EACH. We’re very passionate about the work EACH does with children and their families, having experienced the difference that it makes first hand. 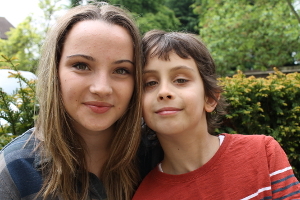 We feel that by being given opportunities like this we are able to share memories of our gorgeous little boy George. Word of the role EACH will play in Thursday’s activities makes it perfect for an update on our Baby Cambridge Fundraiser benefiting EACH. As explained in earlier posts, a number of royal bloggers thought the birth of William and Kate’s first child was something to celebrate; raising money for one of Kate’s charities felt like a splendid way to honor the occasion. EACH is the recipient of all money raised, and we have made lots of progress since launching in late April. We are at 81% of our goal. But we need your help to get us closer to our goal. As we have shared, there are many ways to help out with fundraising efforts. We would be ever-so-grateful for any donation, every $2 or £2 helps. If you have been able to donate, we hope you will think about posting one of our graphics. If you aren’t able to donate there are lots of other ways to help out, we would love it if you would consider sharing one of the other amazing graphics available on your blog or Facebook page. 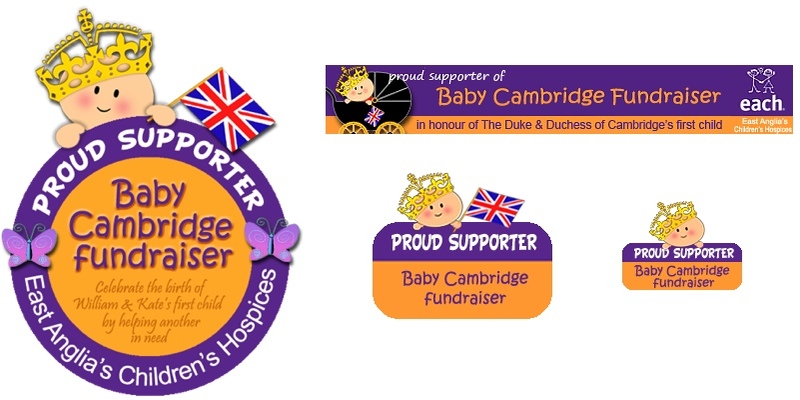 They have all been created by the one and only British Royals, you can look at them and/or download any you like at BabyCambridge.net. One of the ways we have been trying to draw attention to the Fundraiser and boost donations has been through a variety of contests and promotional events. 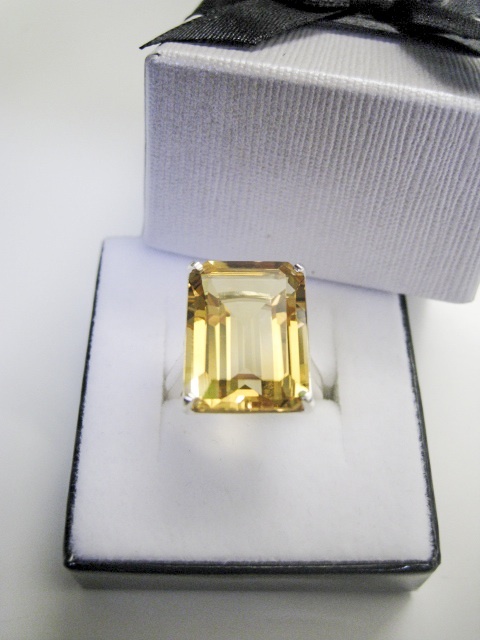 That brings us to our newest giveaway: one lucky person will win this enormous, emerald-cut citrine ring from StyleRocks. 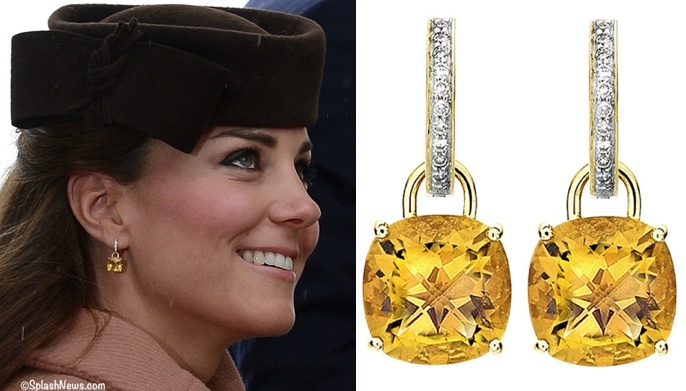 Kate fashion followers know how fond she is of citrine earrings. Below, the Duchess at Cheltenham in March. And her citrine drops have been noted on almost too many occasions to enumerate. So when StyleRocks offered to donate a prize to help our EACH fundraiser, citrine seemed like a natural fit. The ring measures 13mm wide by 18mm long, its retail value is $1000. StyleRocks is a remarkable jewelry store that lets you design your jewelry online. Everything the company offers is fully customizable. Using the site is very easy, just start with a piece of jewelry or stone that you like and begin customizing. 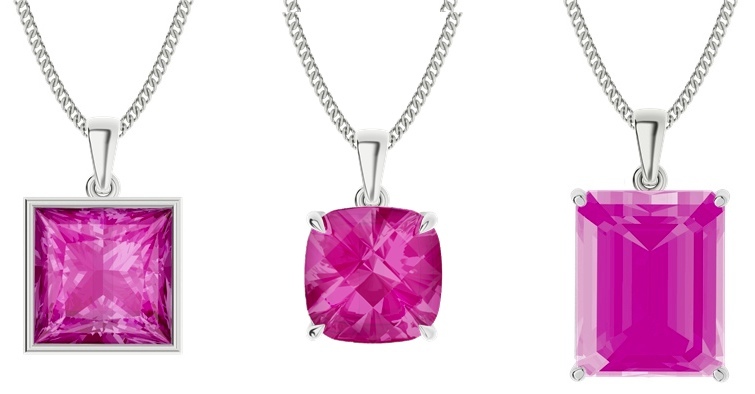 Let’s say you are thinking about a necklace and you like the color pink. Voilà! Here are three different styles I came up with in about 30-seconds: a princess-cut pink sapphire, a cushioncCheckerboard style and an emerald-cut style. Think of the potential for any of the following rings. Once you decide if you would like sterling silver, 9K or 18K gold then you can start pondering what gemstone or pearl you would want used in the setting-the possibilities are endless. Actually, the possibilities are not really endless, the number of jewelry combinations at StyleRocks is 3.4 trillion. The company was started by Pascale Helyar-Moray, who came up with the idea for an online customizable jewelry site when she was pregnant herself. When given an opportunity to select a jewelry gift to celebrate the birth of her twins she couldn’t find anything online she really, really loved. Pascale had long thought about designing jewelry, the difficulty she encountered proved the genesis of her successful company. The company has been showcased everywhere from Australian Vogue to the Telegraph. It’s not unusual for customers to share pictures of their jewelry, sometimes as soon as they open their packages. 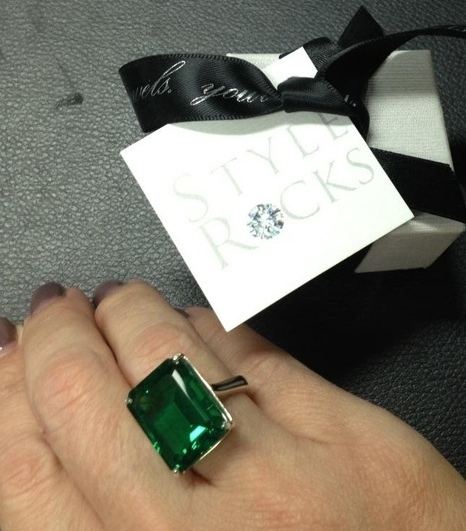 Donating such a gorgeous ring isn’t the only way StyleRocks is helping our fundraiser for EACH. Pascale created a special group of jewelry she dubbed the ‘Cambridge Collection‘ and is donating 10% of all sales from this Collection to the fundraiser. And every shopper is given a chance at checkout to donate $2 to the Fundraiser simply by ticking a box on the checkout page. We’re very appreciative of everything StyleRocks is doing to help. Now, back to that stunning ring and how you can enter to win it. You must complete both Step 1 & Step 2 to enter the contest. The contest is open anywhere in the world that StyleRocks ships, which is just about the entire world. To see a complete list of countries, click here and scroll down to the ‘Where do you ship?” information. If you refer a friend to the contest you will also receive another entry. Citrine stud earrings… So gorgeous!! Or the flower cocktail rings… So fun!! Citrine stud earrings… Gorgeous. Or the Flower cocktail rings… So fun!! I like the pink sappires in the yellow gold ring! I love the gold link bracelet! I love jewelry but have a few pieces that I wear practically every day- and that bracelet would easily work for me on a day-to-day basis. Love it! Also, I subscribed to Style Rocks, followed it on facebook, and followed it on twitter. I love the small oval gold link bracelet with heart padlock. I really like the iolite earrings. What a rich color! I adore the green stone ring!!! Other than the citrine ring I really love the cushion cut peridot pendant from the Cambridge Collection! I also love the blog. I’ve never commented before but I love reading your site! You always do such a lovely job. I really like the “Round Brilliant Cut Gemstone Diamond Drop Earrings”. I especially like them in Blue Topaz. Other than the ring, my favorite is th iolite earrings. The color is beautiful! Love the gold link bracelet with the heart clasp. So classic and Kate! I most love the Iiolite stud earrings – the color is so vibrant yet still portrays a delightful elegance. And, of course, that statement ring is just to die for. Love, love, love! I love the citrine ring – it truly is my favourite piece from the Cambridge Collection! I’ll give the ring to my sister if I win it :)!!!!!! I love the ring with the single pearl set in a swirl – it’s listed under Best Sellers and I can see why! I love the blue topaz earrings – elegant! I would LOVE the iolite earrings! Such great stuff! Thank you for this amazing giveaway and your so-well-done website! I’m in love withe the blue topaz beauties but the ring for any princess is a very close second. I love the Iolite simple round brilliant cut stud earrings! So so gorgeous. My favorite is actually the citrine ring! I love emerald cut stones! The sky blue topaz princess pendant is my favourite from the Cambridge Collection. Gorgeous colour. I love the gold link bracelet and the smokey quartz drop earrings. I LOVE the smoky quartz drop earrings! I love the citrine studs, very elegant! The amethyst and silver ring is totally my favorite! My favorite is the Devine drop earrings! Simply gorgeous. My favorite is the gold link bracelet with heart clasp. So pretty! My favorite is the round brilliant cut diamonds set in yellow gold. I love the iolite earrings however the cushion cuts are very enticing also! I love the drop pearl necklace and Princess Kate’s drop citrine earrings!! Would love to win the beautiful ring!!! I love the Cushion Checkerboard Gemstone Drop Diamond Earrings in Peridot! So classic and would go with everything! I love the green amethyst set in silver cocktail ring….they’re all beautiful though. It’s hard to chose, but I like the gold link bracelet with the heart clasp the best. Very sweet and romantic piece. 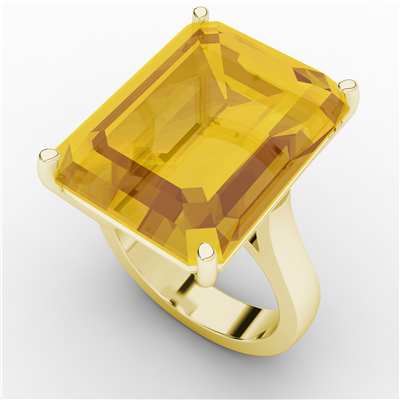 My favorite is the yellow citrine ring – of cause! i love the green amethyst cocktail ring in the cambridge collection. such a pretty color. I love the citrine stud earrings – anything citrine, I love. Very cool new line of jewelry! I love the Tanzanite treasure necklace! I love all the pieces in the collection! Can’t pick a favorite…But I suppose if I had to pick, it’d be the gold link bracelet. I love the sky blue topaz princess pendant! My favorite piece is the Green Amethyst Round Brilliant Cut Gemstone Cocktail Ring!! i love the tanzanite treasure! Such a lovely giveaway! I really love the drop earrings but the ring is also very spectacular! I love the Great Citrine Ring. I think I have wanted one since I was 7 years old. I am in love with all the citrine pieces, especially the stunning citrine stud earrings…amazing! I love the Round Brilliant Cut Gemstone Diamond Drop Earrings! The Gold Link Bracelet would go perfect as part of my wedding day jewelry next March! My favorite piece from the Cambridge collection is the Princess pendant: sky blue topaz in a silver setting. Gorgeous! Oh my gosh! I love the Blue topaz beauties: round brilliant cut gemstones in a gold/diamond setting!!! They remind me of the citrine ones the Duchess has! I love the citrine posts! I love the blue topaz and diamond earrings! Love the emerald cut blue topaz but also the drop pearl diamond necklace! I like the smokey quartz earrings. I love the citrine oval drop earrings. Stunning. My favorite is the amethyst ring. My favourite is the round brilliant cut green amethyst cocktail ring set in silver! Fun contest! I like both the citrine ring and the green amethyst ring! Both very lovely and classy pieces. The green amethyst ring is beautiful! Also, love the smoky quartz stone. Oh I LOVE the Iolite gemstone earrings!! So incredibly beautiful. They are all very lovely, but the gold heart clasp bracelet is very sweet, so I think that one! I like the ring for any princess with round brilliant cut diamonds set in yellow gold! thanks for this giveaway. I love the Round brilliant cut iolite earrings. They remind me of her Issa dress from the engagement announcement! My favorite is the Princess pendant: sky blue topaz in the silver setting. Thanks for the contest! Citrine earrings to match the ring! I love square rings/diamonds so the checkerboard gemstone cocktail ring is my favourite in the collection. This citrine ring is my favourite piece in the Cambridge collection. It’s my birthstone colour and I already have a few gorgeous citrine pieces this would go so so well with! I love the citrine ring! It’s tastefully designed and would look just right on my shape fingers. Thanks to “What Kate Wore” and StyleRocks for bringing this competition! I love amethyst & silver ring ! i like the A ring for any princess: round brilliant cut diamonds set in yellow gold! My favorite are the precious peridot earrings or necklace. <3 the green amethyst ring! The blue topaz drop earring slays me. So beautiful! I love the amethyst silver ring. My favorite from the Cambridge Collection is the round tanzanite set in silver. I love tanzanite! Got to be the Citrine stud earrings! I love the amethyst princess studs! Cushion Checkerboard Gemstone Cocktail Ring is beautiful in Green Amethyst! I like the green amethyst ring set in silver. I love the vibrant color of the Iolite earrings! I love the pink sapphires set in 9 ct yellow gold ring. Understated elegance! Love the gold link bracelet! I love the gold bracelet and the topaz earrings! I LOVE this giveaway, Citrine is my birthstone!!!!!!!!! My favorite is the Cushion Checkerboard Gemstone Stud Earrings in Blue Topaz with 18 ct. White Gold. I think the sky blue topaz princess pendant in the silver setting is lovely! IMy favorite color is green so I would love that one! The ring with the round brilliant cut diamonds set in yellow gold is beautiful! I can’t decide between the gold link bracelet, the blue topaz drop earrings or the yellow gold ring with diamonds. I love them all. But if I had to choose I would pick the earrings. Favourite has got to be the Cushion checkerboard gemstone earrings in smoky quartz! I would love the Round Brilliant Cut 4 Claw Gemstone Necklace, the “Tanzanite Treasure”! Reminds me of the Tiffany’s necklace HRH wore during the engagement announcement (and other times). Love it, and love the whole collection! I love the citrine stud earrings, so beautiful! I love the Cushion Checkerboard Gemstone Drop Earrings. They’re so gorgeous, and they remind me of the earrings the Duchess wore to the Cheltenham Races in March. I really like the pink sapphires set in 9ct yellow gold ring. Simple and great to wear daily! I just LOVE the whole collection! It is perfection personified! I love the green amethyst ring. Gorgeous! I love the gold heart charm bracelet – a classic piece! Love the citrine ring the most! The Citrine earrings….WOW! Or ring. Would be hard to chose! I love the smoky quartz cushion checkerboard earrings! So classic yet so distinctive. I love the gold ring with diamonds – so beautiful and classic! Really love the blue topaz princess cut necklace. I used to wear only plain silver jewellery, but thanks to my sweet boy I now know that colour is the way to go 🙂 I’m really fond of both the citrine studs and the cocktail ring! I love the Iolite simple round brilliant cut stud earrings. Hard decision!! And thank you so much StyleRocks, the website is fantastic. I’ve been playing!! I’m in love with the green amethyst ring! I love love the citrine emerald cut cocktail ring set in yellow gold! Beautiful! I love the tanzanite treasure necklace. I love the whole collection, but maybe the green amethyst silver ring just a little more than the other items! I love the Precious Peridot. Such a rich green color ! I love the precious peridot necklace. Peridot is my birthstone. I love the stud earrings. I could teach, grade papers, cook, chase my sons, go to the grocery store, etc. in class! I love the emerald cut rings, especially the pink stone – beautiful! I love the emerald ring! I think the Three Band Pearl ring is my favorite, but I love so many of their pieces! What a fun website to look through! i love the Women’s domed wedding ring with zig zag diamonds! The green amethyst cocktail ring is beautiful! I really like the gold link bracelet! The citrine ring is beautiful. I also love the citrine studs. I love the Iolite earrings. Besides the citrine ring, i really like the gold link bracelet! Love everything! I really love the citrine statement ring. Also, I love the pear ring in yellow gold – it reminds me of the pearl ring of Calibos, Lord of the Marsh, in the original Clash of the Titans – so epic! I think the gold ring with pink sapphires scattered along it is my favorite piece in the Cambridge Collection. Reminds me of polka dots 🙂 Signed up for the mailing list, liked Style Rocks on FB, shared the contest and page on my own Facebook page for 3 entries. Best of luck to everyone! That citrine ring would be aaaaaaamazing to win! Love the green amethyst ring! But all the items are to die for, really. The blue topaz beauties! They’ve officially gone on the bday list! That green amethyst ring is lovely! Loved the whole concept of customizable jewellery. From the Cambridge collection My favorite is of course the Citrines! I have always loved the sunny yellow shine it has. Just brings a smile to me! Thanks for this wonderful opportunity. This citrine set in 9ct yellow gold is really my favorite! I like the look of the Round Brilliant Cut Gemstone Stud Earrings, especially the option to have sapphire stones in a silver setting. I love the citrine ring. This stone is definitely something that attracts me! Awesome website, thanks so much for making me aware of it! Only my credit card won´t like it 🙂 Love the tanzanite treasure pendant! I liked the gold link bracelet. It’s so simple and cute! I love the citrine stud earrings. My favorite is the round brilliant cut diamonds set in yellow gold ring. It is so sparkly, yet I feel like it is low key enough that I could wear it daily, which, let’s be honest, is what sets a princess apart. I love the citrine cushion checkerboard earrings…..stunning! I love the ring for any princess! So pretty. I also liked their page on Facebook and am following them on twitter. I love the Cushion Checkerboard Gemstone Drop Diamond Earrings. I love the green amethyst cocktail ring! So classic and elegant! I like the citrine drops she wore. Love beautiful citrine stud earrings! There are so many lovely pieces. Other than the citrine ring, if I had to pick just one, I’d love the precious peridot: a cushion checkerboard gemstone set in silver. My favorite piece from The Cambridge Collection (so perfectly named!) are the Blue Topaz Beauties. I would feel like absolute royalty if I owned them! Stunning & simple, just like the Duchess’ style. My favorite from the collection is actually the Citrine ring. I love the citrine stud earrings, stylish and classic. I would choose the citrine ring in 9K gold from the Cambridge Collection! It’s beautiful! My fav from the Cambridge Collection is the citrine stud earrings in 9ct yellow gold! So beautiful! My favorite is the citrine stud earrings, stylish and classic. What a beautiful ring! I like the brilliant cut green amethyst ring. Although I’m fairly certain the citrine statement ring is my favourite. I like the princess pendant with the blue topaz in the silver setting. I love the citrine stud earrings – understated but still very special! So many pretty choices! I really like the Iolite stud earrings. I want the amethyst ring! So beautiful!!!! I can’t decide between the rose ring and the pearl drop earrings. Do I have to choose??? The ring is beautiful and citrine is actually my birthstone! I love everything on the site but I love the Iolite simple stud earrings. Clearly quality and beautiful jewelry. I love the cushion checkerboard emerald ring set in 18 ct yellow gold. Might as well dream big!!! I’ve been wanting a piece of citrine jewelry. How beautiful! Love the gold link bracelet (9ct yellow gold bracelet with heart clasp)! I love the cintrine ring! My birth stone is topaz so I love anything yellow! The citrine stud earrings, citrine is my sons birthstone! I like the amethyst and silver ring the best. Fell in love with the pink sapphires set in 9ct gold band at first sight! The citrine stud earrings are gorgeous! Love the Cambridge Collection, especially the gold link bracelet with the heart clasp! The cushion checkerboard drop earrings with the blue topaz are gorgeous! The green amethyst cocktail ring is gorgeous! I think the gold link bracelet with heart clasp is the most beautiful! Especially because it looks quite similar to Kate’s bracelet with the C monogramm! Very classy! I love me some smoky quartz but that citrine ring is to die for! I love the smoky quartz pendant! My favorite piece in the Cambridge Collection is easily the green amethyst silver cocktail ring! I absolutely love the Iolite round stud earrings. They’re just simply beautiful…I can totally understand why, according to the website, Kate loves them so much. +10000000000 for them! I love the tanzanite treasure necklace… Simple and elegant! I think the gold charm bracelet is the one for me as it’s so like Kate’s! ALL gorgeous though and SO hard to choose! I love everything on the site. Great jewelry. It would be hard to beat the emerald cut cocktail ring! I looove the blue topaz beauties earrings. So pretty and classy. Love the smoky quartz pendant–I can imagine wearing this to work daily! I love the cushion checkerboard gemstone drop earrings in emerald or citrine. They look just like Kate’s! I love the cushion checkerboard gemstone cocktail ring in morganite! I love that silver daisy ring. I love what she wore to the ship christening today I love her Dalmatian print dress and black hat she stepped out of the box and looks sensational. love the domed wedding ring! Any of the citrine earrings are beautiful. So delicate and stylish. I LOVE the round brilliant cut green amethyst set in silver cocktail ring! My favorite is the Princess Pendant. Absolutely love the ring for any princess (round brilliant cut diamonds set in yellow gold) in the collection and absolutely love this blog! This fundraiser is such a wonderful idea. Iolite stud earrings. Love the deep color! My favourite is the gold link bracelet with the heart clasp. I really enjoy reading your blog! I love the Princess pendant: sky blue topaz in a silver setting. Nothing says “princess” better than a princess cut stone! Love the emerald cut citrine ring but I wouldn’t say no to any of the pieces! Kate’s sapphire engagement ring, in my opinion, is the most notable and unforgettable piece of Kate jewelry. Therefore, my favorite is the Iolite earrings because they most resemble Kate’s engagement ring. My favourites are the blue topaz earrings in gold setting – love!! I like the ‘statement ring: citrine set in 9ct yellow gold’. Yellow is my favorite color. My favorite piece from the collection is the “tanzanite treasure” necklace in silver, its such a beautiful gemstone! I like Iolite,a round brilliant cut 4 claw set gemstone stud earring!! !I love it!!! Cushion Checkerboard Gemstone Drop Earrings with saphire or morganite!! Beautiful!! I really like the smoky quartz drop earrings. I think they will go well with many outfits. I love the Princess Pendant from the Cambridge Collection! I like the blue topaz earrings. Love love love both the citrine stud earrings AND the iolite studs! Love the gold ring w/ the pink sapphires!! I love the round brilliant cut, green amethyst cocktail ring. Gorgeous color and I like the silver setting on it! awesome how much you have raised so far for EACH! Love, love what you are doing! My favorite piece from the Cambridge Collection is definitely the Emerald Cut Gemstone Cocktail Ring in Chalcedony Large!! Extremely beautiful and classic! Ironically, the citrine is my son’s birthstone. It would make a fantastic mothers ring!! The cushion checkerboard gemstone necklace in mint quartz is awesome! The citrine ring is my favourite! The pink sapphire in 9CT yellow gold band is my favorite, although I wouldn’t say no to the diamonds! I am loving the Round brilliant cut ring – green amethyst ring, just as it comes. Great color. I´m in love with Nobly elegant ring! I love the gold link bracelet with the heart clasp — so sweet and delicate! Love the brilliant cut green amethyst ring. That is one gorgeous ring! I love the Precious Peridot pendant in the Cambridge Collection. The citrine ring is my favorite, although everything is beautiful!! Please use the correct title in future; it shows respect and better knowledge of your topic. I love the earrings, elegant and classy…just like the Duchess. The iolite studs are gorgeous! I love everything, but I especially am loving the emerald cut green amethyst cocktail ring! I wuold like one of the cocktail rings…probably in smoky quartz which i’ve always wanted or lemon which is just super trendy right now. My favorite was the gold link bracelet- so cute! I love the Checkerboard cushion cocktail ring. I would probably choose gold citrine, green amethyst or peridot. Great idea for contest giveaway-thanks! would so love to win! Princess topaz necklace in silver! would be my favorite! I love the citrine earrings and ring! I love the Sophisticated smoky quartz: cushion checkerboard gemstones in the earrings. I loved everything but particularly the smoky quartz checkerboard drop earrings. Love these pieces, the cocktail ring is just gorgeous! The precious peridot necklace is the one I like most. My favorite is, funnily enough, the citrine ring!! By far my most favorite piece from the Cambridge Collection is the Emerald Cut Gemstone Cocktail Ring with a Ruby set in the gold plate. It is beautiful!!! I love everything with pearls!!! I loved all the earrings but perhaps my most favorite was the peridot pendant necklace because that is my birthstone! 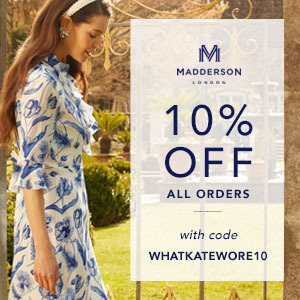 Love this collection, beautiful pieces! Thanks for the giveaway. I am most fond of the gold link bracelet with heart clasp for my teen daughter, and the citrine ring for myself, or perhaps the amythest. I love everything in this collection especially the three stunning cocktail rings. I love all the bold colours but my favourite is by far the gorgeous citrine set in 9 ct gold ring! Also being from Australia I love that this company is Australian and sources all their products from Australia. I would like the Gold link bracelet. Love the green amethyst ring & love your site too! I love the heart-clasp bracelet! My personal favorite from the Cambridge Collection is the Princess Pendant with the sky blue topaz – beautiful combination! Love the citrine earings! I am a november gal myself! I love the citrine stud earrings and the gold link bracelet with heart clasp. Citrine is my birthstone and I hated it as a kid, but as an adult I am loving it more and more. Hard choice! I love the citrine stud earrings. I really love the Princess pendant (sky blue topaz in a silver setting). The design is so simple yet the pendant is so stunningly vibrant and regal, absolutely love it!!!! It’s really hard to choose but I LOVE the smoky quartz earrings (sophisticated smoky quartz: cushion checkerboard gemstones set in 9ct yellow gold). PS – I subscribed too! Have to say I’m partial to the blue topaz cushin cut ring.. Same color as my husband’s eyes. Fingers crossed that soon to be baby boy inherits them!! I’m loving that amethyst ring. Simple and elegant. everything on the site is so well presented, but I have always been a sucker for smokey quartz, so would have say that anything in the Cambridge Collection done up with smokey quartz is a winner in my book! Thanks! I love the princess pendant with blue topaz! The earrings in the Cambridge collection are gorgeous! I really love the blue topaz round cut gemstone diamond drop earrings. They are very simple and elegant, and the blue just adds the right amount of color. They are gorgeous! I like the Iolite Stud Earrings…so pretty! Thanks for an amazing giveaway! I’m in love with the Iolite simple round brilliant cut stud earrings since this is my favourite colour and the earrings look very precious!! However, I just started wearing golden jewellery and the emerald-cut citrine ring from StyleRocks would be a perfect start for my collection!! Good luck to everyone!! The iolite stud earrings are my favorite in the Cambridge collection. Now, off to customize! My favorite piece is the blue topaz earrings! But everything in the collection is just gorgeous. It was hard to choose, but I really love the blue topaz beauties. And I just want to thank you for this wonderful opportunity! I love the smoky quartz cushion checkerboard necklace. Looks like chocolate!! Love the heart clasp bracelet! I have been looking for a pair of simple emerald earrings everywhere, so the “create your own” option is fantastic for me! I love the tanzanite necklace. Gorgeous! I like the princess pendant, it is gorgeous! The iolite earrungs are breathtaking, such a royal colour! 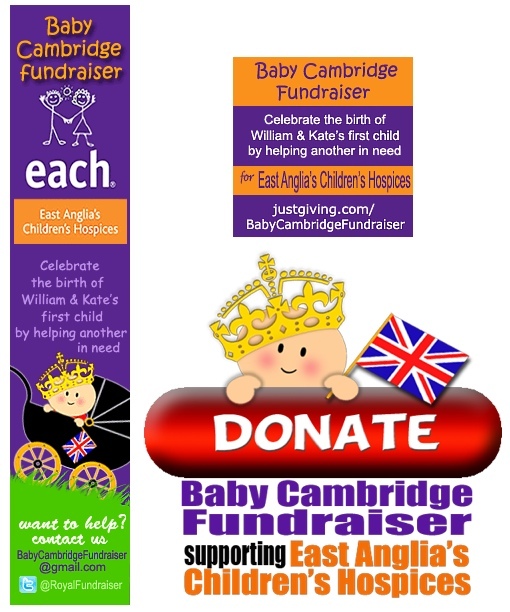 Keep ob growing, Baby Cambridge fundraising sum!!! Love the amethyst princess cut earrings in white gold. The cushion checkerboard drop earrings in smoky quartz from the Cambridge Collection is my choice. Would wear it everyday. I like the purple ring! I actually would love to have the ring that is being given away. It fits my personality and style!! They couldn’t let you pick your own stone if you win? As I’ve lamented before, citrine-yellow just isn’t my color! Alas. This ring (statement ring: citrine set in 9ct yellow gold) is my favourite piece in the Cambridge collection. It is my birthstone colour as well, so I already know of all the symbolism attached. It’s lovely, thank you for this opportunity to enter to win it. Anything in amethyst would be beautiful! I love the rose ring! It’s beautiful – very classic! I love the heart pendants in the Cambridge Collection.